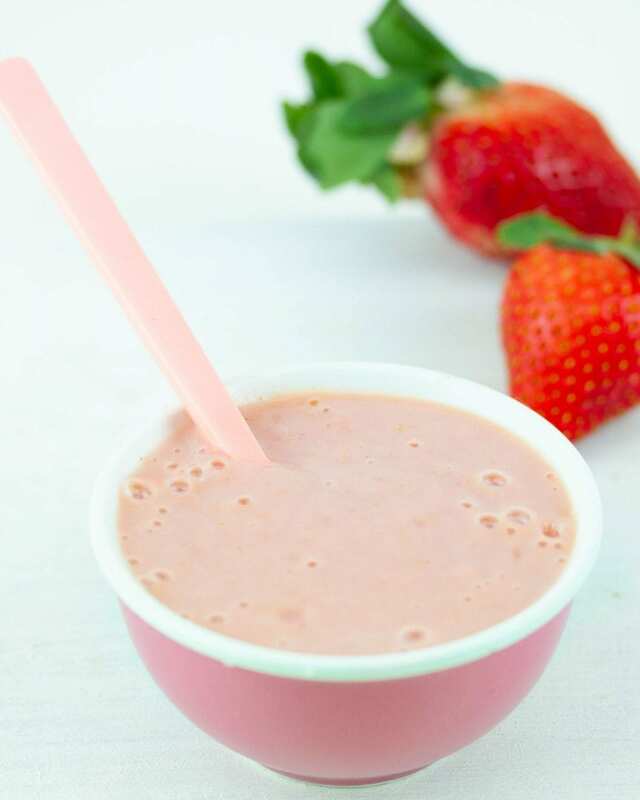 This is a super simple no-cook banana and strawberry puree for baby weaning. It’s a great combination for introducing baby to tart and sweet flavours. Buy organic strawberries as strawberries are amongst the “dirty dozen” of foods that are high in pesticide residue. We’ve all had one of those mornings (or several of them). When you overslept by 5 minutes or when your baby woke you up at the crack of dawn and you haven’t had a moment to get anything done let alone steam up a fresh puree for the morning. But you still want your little one to eat a fresh homemade breakfast. What’s the answer? 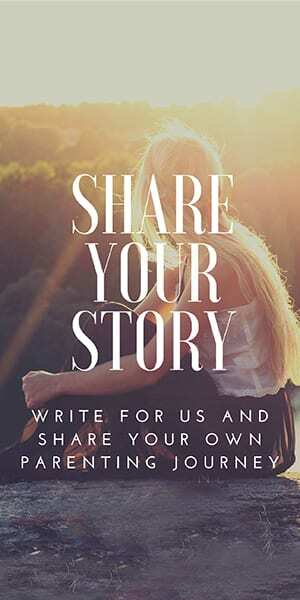 It can help to have a little stock of no cook puree recipes in mind. They mean that you can wash, chop, blend the ingredients for an instant fresh puree meal for baby. 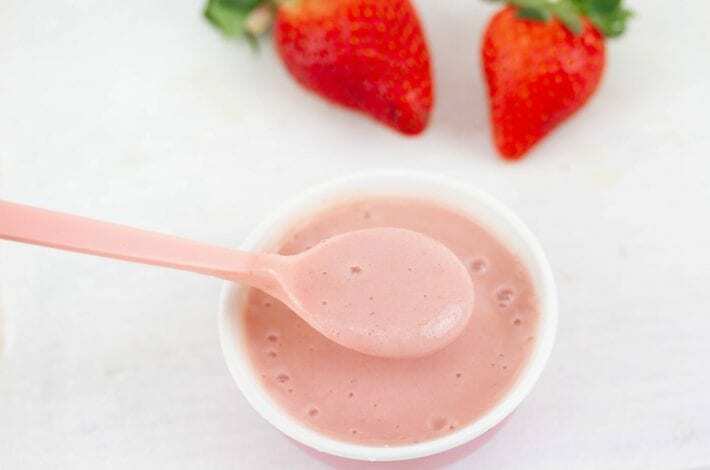 As well as this simple 2 ingredient recipe here, we also have more no cook purees including our Blueberry, pear and banana and Mango, banana and strawberry puree. Strawberries provide a rich amount of nutrients. 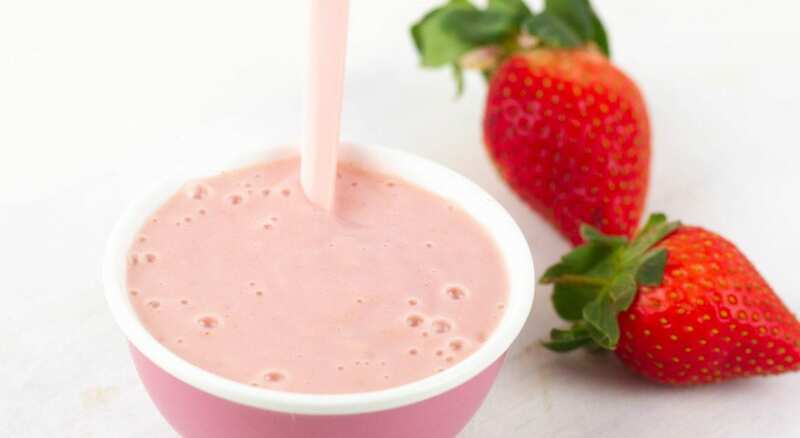 A ½ cup serving of sliced strawberries provides 49 milligrams of the antioxidant vitamin C, which provides about 98 percent of the adequate intake for infants ages 6 to 12 months. They also are a great source of magnesium, Vitamin B6 and iron. And they supply 2 grams of fibre per serving. 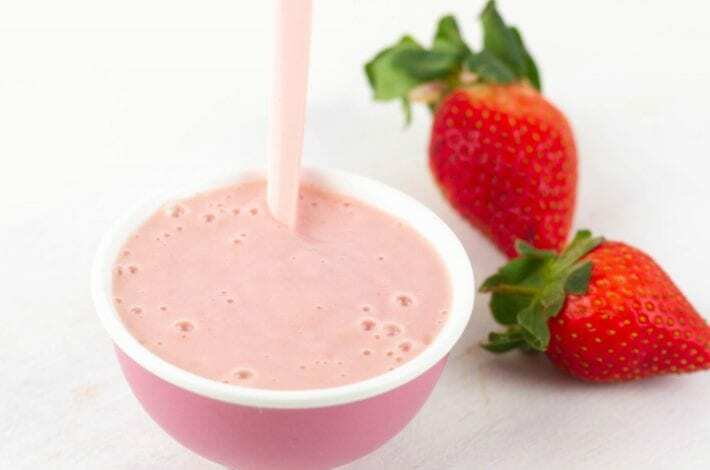 They are a food that a number of people have allergies to so take precautions the first time baby tries strawberries. 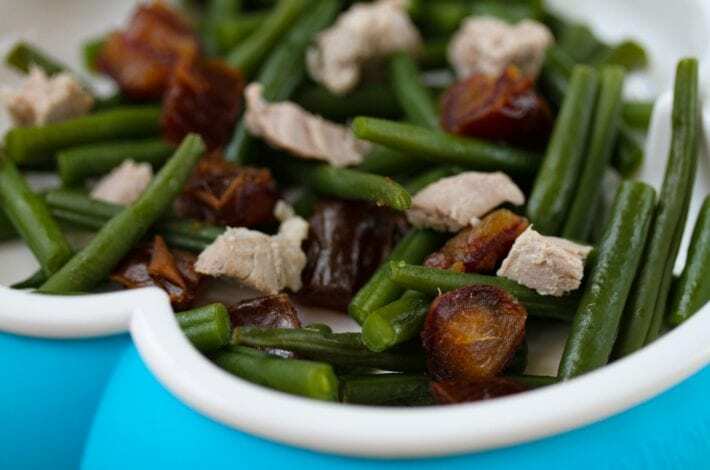 You can find more details about how to do this towards the end of our article Baby led weaning foods by age. Bananas are a sweet fruit that babies love the taste and texture of. They’re often a favourite first food choice for little ones! They are soft enough to mash with a fork (or gums) and have many health benefits. Bananas are high in potassium, which is said to regulate blood pressure. They also boast a variety of other minerals, as well as certain vitamins, including vitamins A, B6, B12 and folate. Wash the strawberries and top them, removing the leaves. Peel and chop the banana into rough pieces. 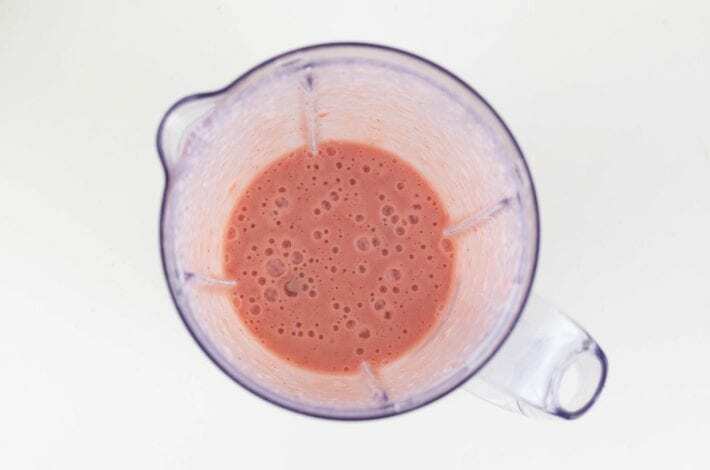 Using a blender or food processor, puree the strawberries and banana until smooth. 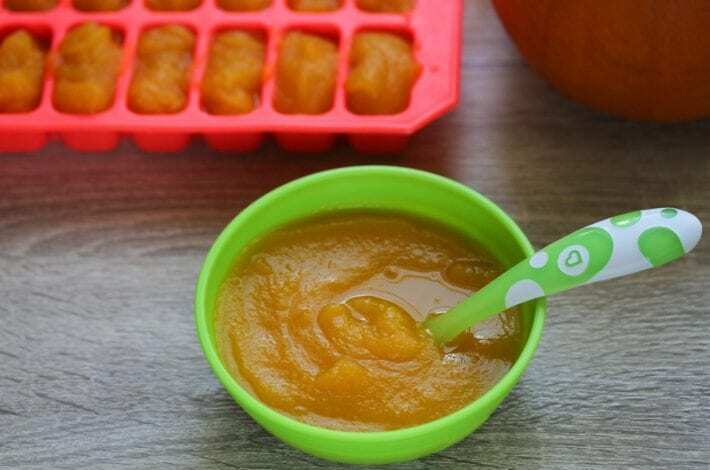 Add water, breast milk or baby milk a little at a time to achieve a smooth puree at the consistency you want. 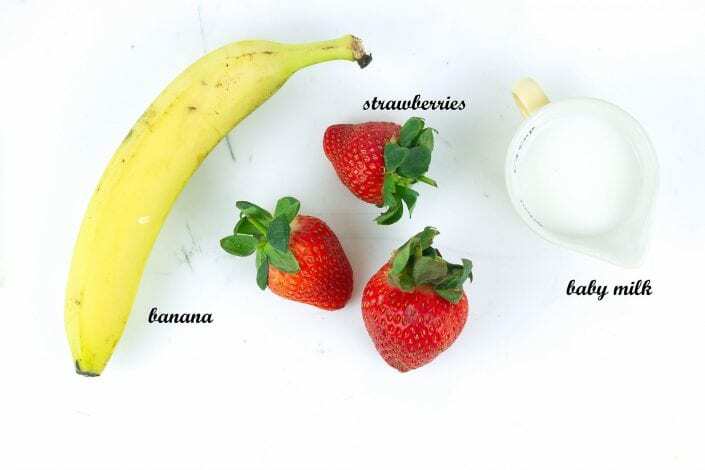 Slice the strawberries and banana and puree until smooth. Add a little breast milk, baby milk or water to slightly thin the puree, but don’t let it get soupy; thick and creamy is best. 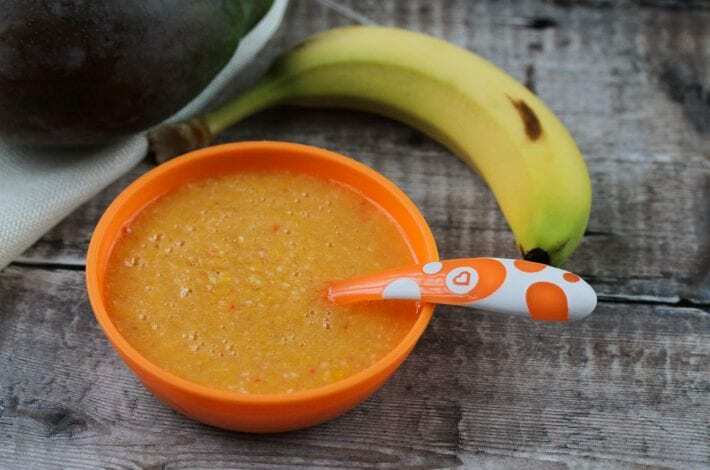 Blend until all lumps are gone and you are left with a creamy smooth puree for baby. Add water, breast milk or baby milk a little at a time to achieve a smooth puree at the consistency you want. Enjoy this instant breakfast for baby! 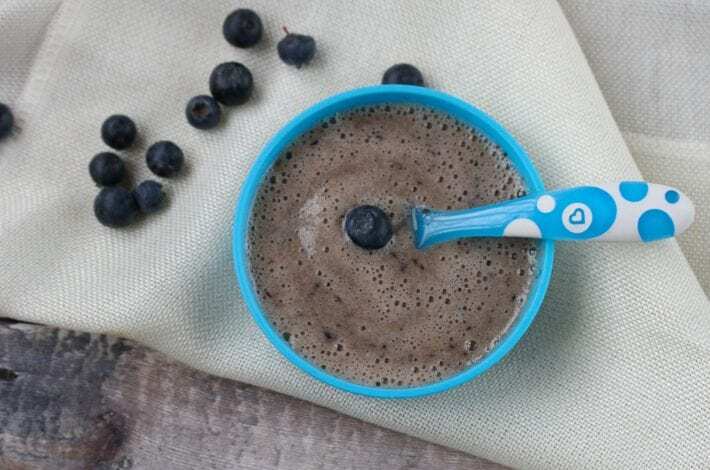 For another great no cook baby puree for mornings on the go, try our Blueberry, pear and banana puree.